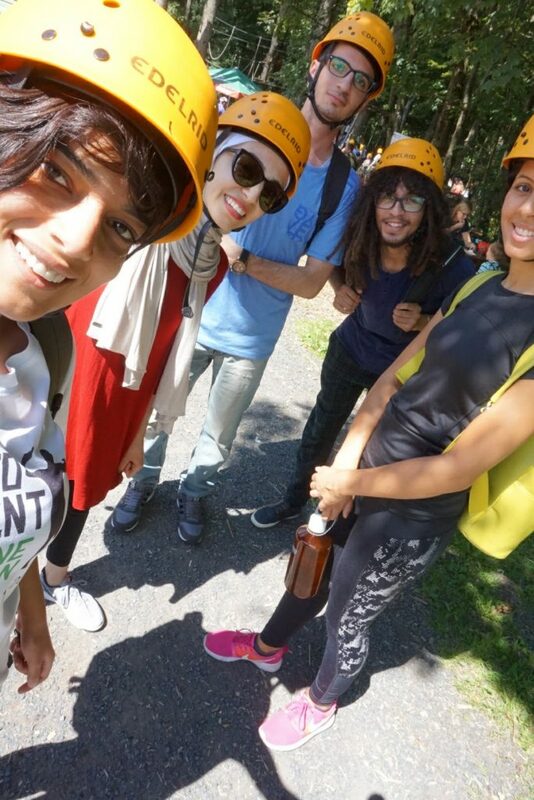 Day 4-6 in Germany – YALLAH! You All Are Hackers. On this day, we did our first meeting with the foodsharing community in Siegen. They gave us a small introduction of what foodsharing and the main purpose of it is, and they showed us the website foodsharing.de. Moreover, they told us about the sharing points in Siegen and how they pick up the food from donors. After that, we had a discussion about how we can contribute to the food sharing community in Siegen. The food sharing community guys were very friendly, we suggested that we can make a new sharing point in Siegen and moreover, we can do a Schnibbelparty in Siegen since they talked about previous parties they did. 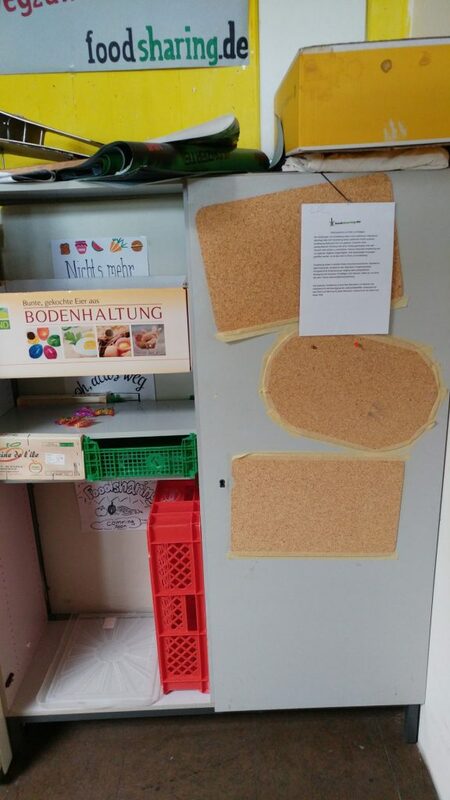 They liked both ideas and they found them very helpful for the food sharing community of Siegen. Our ideas might help in growing awareness about sharing any extra food instead of throwing the extra food away. 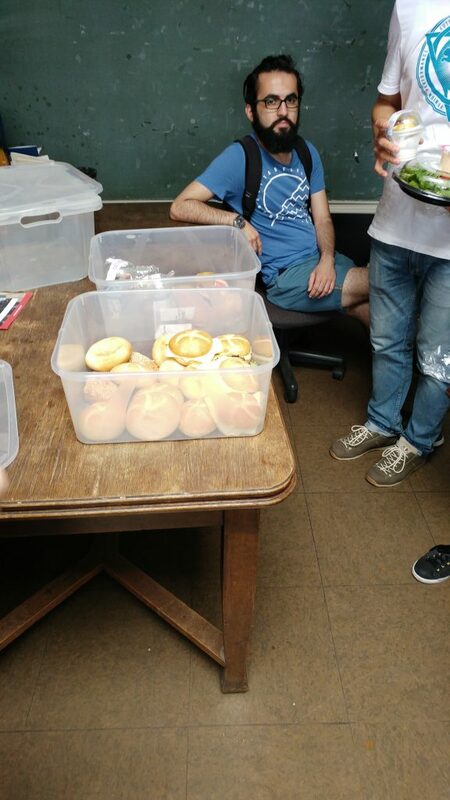 After that, they told us that there is a sharing point in the blue university building (Adolf-Reichwein Campus) and they pick up the extra food from the university every Friday and bring it to the sharing spot. They suggested that we should go to check out the place and see how things work. We were told that the sharing will be at 3 PM. Moreover, they told us that at 6:30 PM they will pick up extra food from bakeries in the city center and they will make a sharing point at the white stairs (Siegufer) to distribute free food to all the people there. After the meeting ended, we went to the blue building with Robin to see the main cafeteria and to see different parts in the building until we meet the food sharing guy again. At 3 PM, we met him and he showed us the sharing point, it was a small room that contains three closets to sort the food in and there were some sofas and chairs. When we went there, there were some people who hang out there and when the extra food came, more people came to the place and then everyone who was there took some of the food including us. It was a great experience because we saw how the sharing is done and how much it is nice to give the extra food to people instead of throwing it away. After everyone took some of the food, nothing was left and then we started talking with the people and we had the chance to meet some new faces. At 6:30 PM, we went to the city center to meet the guy in order to see how things will work there as well. After the food was gathered from the bakeries, the food was offered on the people who were sitting on the white stairs and they took some of the food. 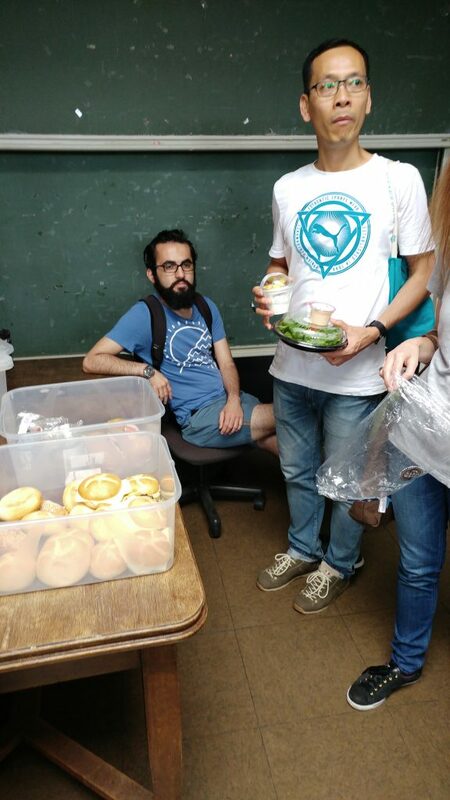 After these two great experiences, I became more attached to food sharing group because it has a beautiful and meaningful aim which is offering perfectly good food to people who may be in need for free instead of just throwing it away. 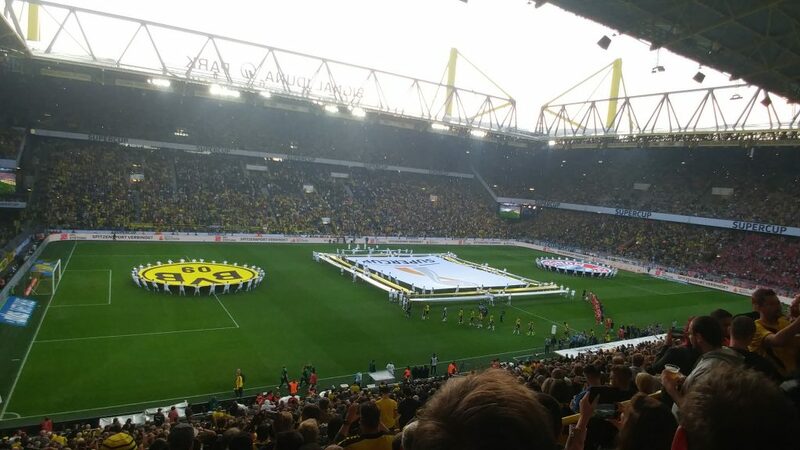 One of the best experiences so far in this exchange was having the chance to watch an official match of BVB in Dortmund. 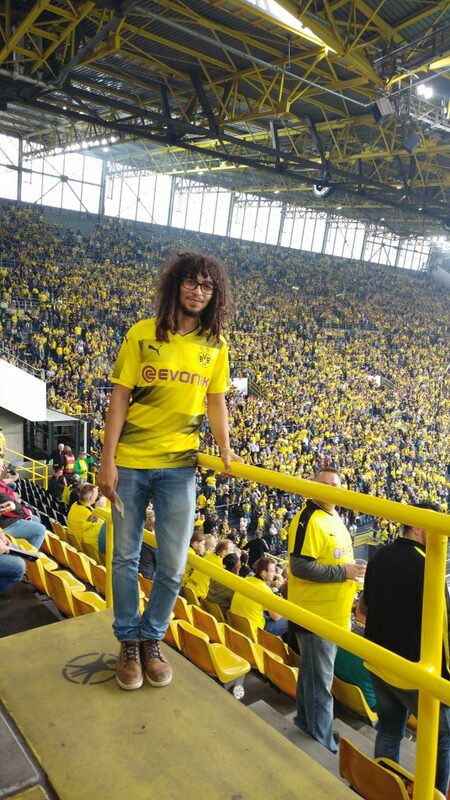 Before I came to Siegen, Robin helped me to get a ticket for the Super Cup Match (BVB vs Bayern Munich) so in this day, after we went to play laser tag in a place near Siegen with Maher, Saja, Robin, Shahd, Somaia, and Aseel, I went to Dortmund. On my way to Dortmund, at each station, a new group of Dortmund fans got into the train, each time I saw them, I became more and more excited because it was my dream to witness these fans in their Stadium. When I reached the Stadium, the fans were crowded outside waiting for the players’ bus to arrive. 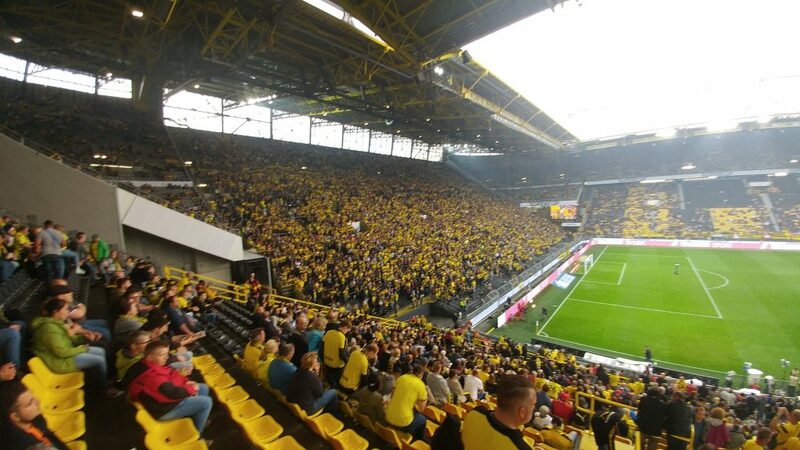 After that the fans started to enter the stadium and so did I. I watched the game and even though BVB lost the cup, it was one of the best moments that I will never forget in my life. 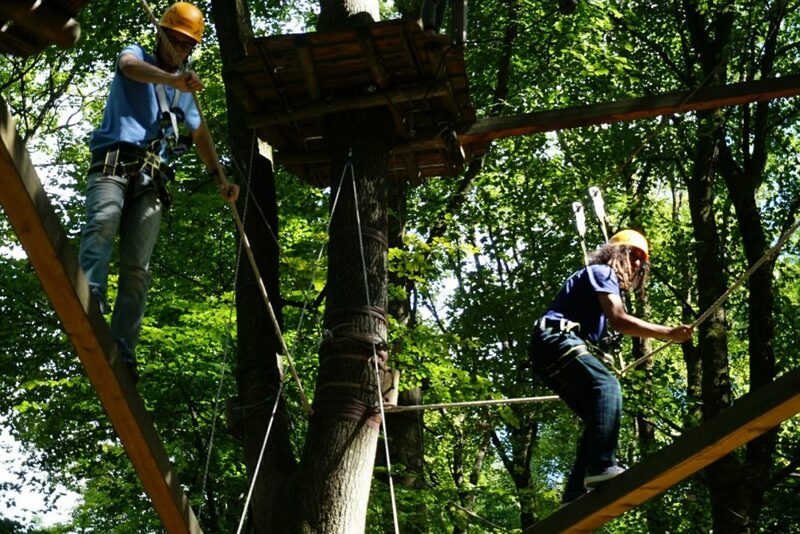 In this weekend, Layla offered to take us to a climbing forest in a place called Bad Marienberg. Me, Maher, Shahd, and Somaia decided to go. 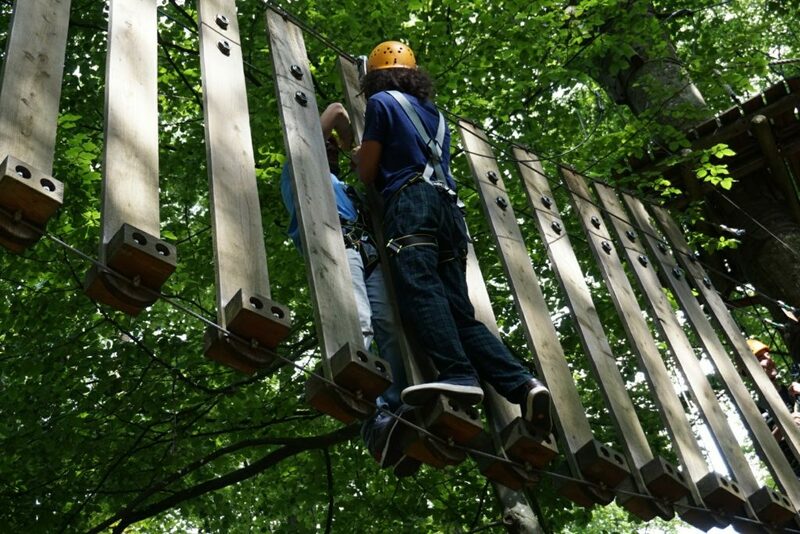 When we first arrived, we saw the forest and people who were climbing in the trees and we got excited. 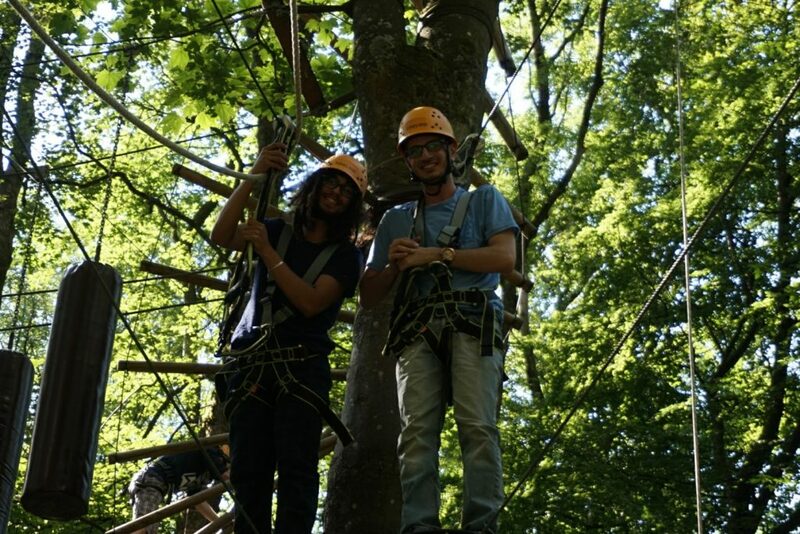 After that we took the safety equipment, listened to the instructions and then we started climbing. It was a new and great experience and we all had fun.